Summary: Executive Charter Flights is proud to announce a launch of their improved website and expanded service. From now on, everyone who seeks owning or leasing a private jet can achieve their goals faster and get some exclusive options to choose from. Executive Charter Flights has been renowned as a premier source of information on buying or leasing a private jet for a while now. The service has also been helping their clients to find the best lease and achieve aircraft ownership, connecting them with trusted aircraft services. Now the company happily announced a complete revamp of its website https://executive-charter-flights.com and launch of some exclusive services. The re-launched Executive Charter Flights (ECF) website is easy to navigate so everyone will be able to find exactly what they need within moments. The ‘Get a Quote’ button is particularly prominent. It enables one to learn exactly how much private jet ownership or lease will cost them. The information is provided quickly and ECF backs up the data, so one doesn’t need to worry about numbers changing greatly when they actually get to sealing the deal. 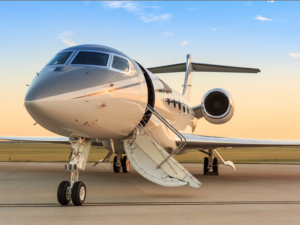 What Are the Benefits of Leasing a Private Jet Using New Executive Charter Flights Services? Anyone looking into private aircraft ownership or lease knows that prices in this niche vary greatly. As this deal is sure to not be cheap, it’s essential for one to get information from dozens of sources and compare them fast as the prices might shift. Executive Charter Flights does exactly that and performs the task fast to ensure every client gets up-to-date information they can safely base their decisions on. The service is also proud to announce that to Executive Charter Flights is truly set to be a new kind of business after its relaunch. From now on, the company will be offering a wide range of exclusive options for chartering and leasing a private jet. Detailed information on each is available on the new website. The mission of Executive Charter Flights is to provide everyone looking into aircraft ownership everything they need to achieve that goal. In order to help its clients, the company goes above and beyond in its research. It’s also closely associated with some of the top charter and aviation companies in the industry and can help one connect with any of the best aircraft charter services. The company offers its help to both US and international clients and has an impressive listing of available destinations. It stands right next to a no less impressive list of instructions on how to achieve private jet ownership today. For more info on chartering or leasing an aircraft, be sure to visit our faq. Or click here to navigate home. If you’re looking for information on how to rent or how to acquire your own aircraft, then you’ve come to the right place. Our goal is to educate as well as connect national & international clients with the safest and most professional aircraft charter services available. We are closely affiliated with some of the top private jet service providers and together we are dedicated to finding you the best price on your private jet flight within the United States and around the world. Copyright © 2019 Executive Charter Flights, All Rights Reserved.